(1) You owe the bank or leasing company for damage beyond “normal wear and tear” and excess mileage. The danger here is because many people return their car to the dealership after the lease expires without getting signed, written verification of what damage exists on the car and what mileage is on the odometer. Return lease cars commonly sit on the car dealer’s lot for weeks or even months before the bank or leasing company gets around to picking the car up to send it through the auction. Anybody might be driving that lease car in the interim. It could be an employee of the dealership. A returned lease car with a full tank of gas can be a big temptation. In many dealerships the accounting for returned lease cars is very sloppy. Remember, the car does not below to the dealership, but to the bank or leasing company. The dealer doesn’t even have insurance on this car. The insurance may even still be in your name. A return lease car can easily be stolen and no one would even notice. I have heard many horror stories of customers who received bills from their leasing company weeks after returning their lease car for thousands of dollars in damage and excess mileage that they say they were not responsible for. Your only protection is to be sure that a representative of the dealership fills out, with you, a complete return lease inspection form which notes all damage, the estimated cost of repair and the mileage. As an extra precaution, I recommend taking pictures of your lease return car to have on hand in case you're blamed for damage that occurs after you turn it in. (4) The Lease Disposal Fee. It would almost be funny if it weren’t so deceptive. The bank is charging you an extra fee for leasing you the car and then hitting you again for taking the car back. They certainly incur a cost for doing the lease and for taking the lease back, but his is called business overhead expense and should be included in their price which is your lease payment. The motive behind all of this, of course, is the same motive behind the dealer fee…it allows the “illusion” of a lower price than you are actually paying. (5) Higher Insurance Costs. Typically you are required by the bank or leasing company to carry more insurance on their lease car than you might normally buy if you purchased your car. Furthermore, the cost of the insurance is simply higher on lease cars. That may be because insurance companies know that people are not as careful driving a lease car [belonging to the bank] than they are their own car. (6) Higher Credit Requirements. Another reason dealers advertise lease payments is that most of those who respond to the ad cannot qualify to lease a car and the dealer then tries to sell them the same car. Of course the payments are much higher, but the dealer accomplished his purpose…”he got you in the door”. If you have a Beacon score below 720, which most people do, you can forget about leasing that car for advertised payment. You may be able to lease it at a higher payment if you have a 680+ Beacon, but many people don’t and cannot lease a car at all. (7) You mighty not get the Electric Vehicle Tax Credit. The IRS offers a tax incentive to buy an electric or hybrid car (this limited to a certain number of vehicles, so please check ahead to see if the electric or hybrid vehicle qualifies). If you lease a hybrid instead of buying, the tax incentive does not go to you; it goes to the leasing company because they are the legal owner of the car. The leasing company may pass this along to you in the form of a lower leaser payment, but maybe not. Make sure to ask your dealer if the savings are being passed along to you if you're leasing an electrified vehicle. (8) No Tax Advantage to Leasing. This is not really a “booby trap” but a lot of people lease cars thinking they can write of the lease payment faster than they can depreciate a car if they buy it. This is not so. Check with your accountant. 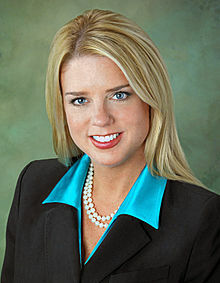 Attorney General Bondi, as the top-ranking law enforcement officer of Florida, I ask you to investigate a sampling of new vehicle advertisements by Florida car dealers. These are readily available to you in Tallahassee, online from your home or office PC. If your investigator indicates an interest in buying one of these advertised cars from that car dealer, they will discover that they cannot buy it at the advertised price “including all fees or charges that the customer must pay” according to Florida statute 501.976*. You probably know me. I’ve been a car dealer in Florida for 50 years. In recent years I’ve evolved into a consumer advocate helping car buyers from being taken advantage of by car dealers. I’ve been doing a weekly radio show on this subject for 14 years. Each week we mystery shop a South Florida car dealer. http://www.mysteryshoppingreports.com is the link to my archives of these reports. Our typical report involves responding to an online, TV, direct mail, or newspaper advertisement. We send a mystery shopper in who pretends to want to buy the advertised vehicle at the advertised price. In virtually all mystery shops (over 500), there are additional charges including “non-governmental” fees added to the advertised price. The last time I raised this issue with your AG predecessor, General McCollum, I was told that the AG’s office didn’t have a significant number of complaints from Florida car buyers on this issue. I sincerely believe the reason for this is that Florida car dealer have been ignoring this law for so long, the law has never been enforced, and that car buyers have become “used to being deceived”. They either don’t know about the law or feel that filing a complaint is not worth the effort. You’ve done a great job controlling “Pill Mills”, pharmaceutical companies, and other threats to Florida consumers. Floridians spend more money on automobiles than anything except housing, and they need your protection from being over charged millions of dollars annually by hidden charges violating Florida Statute 501.976. If you’re lucky enough to have found a car dealership that treats you ethically, honestly and gives you fair prices on vehicles, maintenance, and repairs, congratulations. You’re in the minority. Buying, leasing, repairing, or maintaining a car is an unpleasant and stressful experience for most customers. For proof of this I cite the Gallup annual poll on Honest and Ethics in Professions, conducted every year since 1977. Car sales people rank at or near last for the previous 45 years. Check it outhttps://news.gallup.com/poll/1654/honesty-ethics-professions.aspx. There’s a reason for car dealers lagging all other retailers in honesty, ethics, and transparency. Car dealers advertising and sales tactics are “frozen in time” from the last century. Other retailers have all had to evolve and improve to survive with the advent of the internet, Big Data, The Cloud, the knowledge explosion, Google, A.I., etc. All of this gave birth to the educated and demanding consumer of the 21st century. When the modern consumer is treated badly by a retailer, he chooses another retailer that will treat him nicely and fairly. It doesn’t work that way with car dealers because most of them don’t treat their customers ethically and honestly. Why? Because they are a “protected species”. Every car dealer has a contract with manufacturer that allows him to sell and service cars just about any way he chooses. The only exceptions to this are that the car dealer mustn’t commit a felony and must meet his minimum quota of sales. Every car dealer also has a protected market area, protected by state law and by the manufacturer’s franchise agreement. All fifty states have laws on the books to protect the car dealers from competition and from the manufacturers. In Florida, a car dealers franchise agreement is “perpetual” …it never expires. Car dealers and their lobbying organizations rank right up there with the NRA, Big Insurance and Big Auto influencing our legislators and regulators. If you’re a politician, you better treat car dealers right or you won’t be elected. 1. Check out their consumer ratings on Google, Yelp, Dealer Rater, and the BBB. Don’t just look for the highest ratings but read the individual reviews. A 3-star rating with a thoughtful comment is often more informative than a 5-star. Five stars are suspicious because “nobody’s perfect” and 1 star can be biased in the other direction. If there are very few reviews, don’t put much weight in the score. You should find a dealer with at least 100 reviews. 2. Check out the dealer’s Facebook page and read the posts. Ask your friends on Facebook what they think about various car dealers. The social media is a powerful too, but you must be careful. Use Instagram and Twitter also. 3. All car dealers are rated by their manufacturers for customer satisfaction, both in sales and service. Some manufacturers rank their dealers by the loyalty of their customer that return for sales and service. This is absolutely the best way to measure customer satisfaction…do most of the dealer’s customers come back to buy another car and to have their car serviced. Ask the dealer to see these scores; if they won’t show them to you, choose a different dealer. 4. For South Florida Car buyers, I’ve compiled a list of recommended and NOT recommended car dealers. You can check this out atwww.GoodDealerBadDealerList.com. Please be warned that you still must exercise caution buying from a “Good Dealer”. I grade these dealers “on the curve”. A more accurate title for the list would be “Better Dealer Worse Dealer List”. 5. I’ve been mystery shopping car dealers weekly in South Florida for the last 11 years. This is where we get most of the input to score the dealers we have on this list. If you’re considering buying a car from a South Florida dealer, there’s a good chance that I’ve sent in a mystery shopper. You can read these shopping reports athttp://www.mysteryshoppingreports.com. 6. Use a dealer approved by www.TrueCar.com or www.CostoAuto.com. These are the two best third-party car buying services. The dealers using True Car and Costco are certified and supposed to provide you with an honest, transparent price. Unfortunately, some of them don’t measure up and you should exercise caution even when dealing with a TrueCar or Costco certified dealer. Finally, you should remember that good dealerships have some bad people working there and bad dealerships have some good ones. If you’ve done your research and chosen a dealership but are unhappy with a sales person or manager, ask for someone else to assist you. We’ve sometimes encountered sales people in our mystery shops that apologized for dishonest advertisements and warned the mystery shopper not to overpay on a car. The last time you paid your bill for your car’s maintenance or repair, there was there was an extra, probably unnoticed charge at the bottom of the service invoice. This extra charge was not for the parts or labor performed on your car. If you noticed it at all, it was hidden at the bottom of the invoice near the line for sales tax. This service charge is the “little brother” of the infamous Dealer Fee, the hidden PRICE INCREASE which is added to the bottom of the bill of sale when you buy a car. Just like the dealer fee, this service charge is not really a fee at all; rather, it's pure profit to the dealership or independent service facility. Just like the dealer fee, it too goes by many different names: "Sundry Supplies Fee", "Miscellaneous Fee", "Hazardous Waste Disposal Fee", "Waste Oil Disposal Fee", “Environmental Impact Fee”, etc. The “Waste Oil Disposal Fee” is particularly deceptive and dishonest because car dealers sell their waste oil to refiners for a tidy profit. Unfortunately, charging any arbitrary extra amount onto the price of auto service is completely legal in Florida! There is also no law requiring consistency in naming this extra charge or even in limiting the amount of that charge. If a car dealer wanted to name the fee CAR DEALER’S RETIREMENT FUND, it would be legal (and a lot more honest than Environmental Impact Fee). The size of this bogus fee is calculated as a percentage of the total legitimate parts and service charge you incurred and varies from as little as 5% to 10% and higher. Typically, there is a self-imposed “cap” on this phony charge so that you don’t notice it when you pay your bill at the cashier. Caps also vary from about $25 to $50. Remember that most people service their cars about every 6 months or 5,000 miles and keep their cars 6.5 years. If your average “hidden charge for service” was $15, over the course of ownership you would pay $195 for work that was never performed on your car! The average dealer fee in Florida is over $1,000, but a car dealer makes his money on the bogus service charge with volume. A car dealer may sell a few cars each day, but he or she may service dozens. Therefore, a car dealer “steals” far more money from his service customer than he does his car buying customers. Auto service companies and car dealers know that this is wrong and expect some of their customers (those that are alert enough to catch it) to react angrily. Calls from these customers are what inspired me to write this column. One caller that was a regular reader of my column and called me to ask what the “sundry supply fee” for about $30 at the bottom of his service invoice at Sunrise Ford in Fort Pierce was. I explained it to him. By reacting angrily and threatening to take his service business elsewhere, he was able to have his $30 refunded. This is my recommendation to you: always inspect the service invoice before you pay. 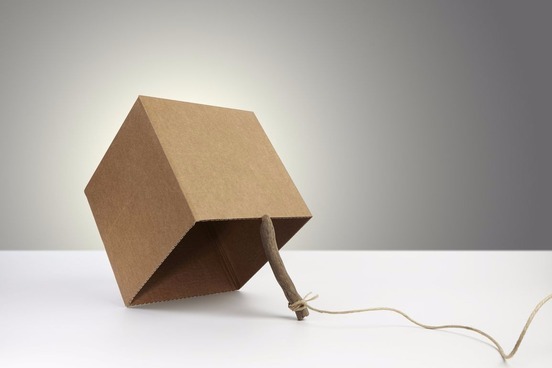 If there is any charge on the invoice that you cannot recognize, ask for a complete explanation. The explanation you are likely to hear is that these are for “miscellaneous” supplies and costs the dealer incurs in repairing the average car, probably not yours. They will talk about nuts and bolts, screws, fasteners, grease solvent, and maybe even “soap to wash the mechanic’s hands”. Of course, these are just normal overhead costs of doing business. They might just as well be charging you for their power and water bill or salary to their mechanics. You tell them that their costs of doing business should have been included in the price you were quoted for the labor and parts on your repair order, not sneakily tacked onto the bottom of the invoice when you were paying the cashier. I sell new and used cars, but if I was not a car dealer and I needed to buy a car, I would buy a used one instead of a new. This is because a used car is a better value. You get more for your money due to avoiding the initial rapid depreciation of a new car.The price gap between used and new cars has increased to highest level in over a decade. I use the term “used car” in this article because I despise mumbo jumbo euphemisms like “pre-owned”. A used car is a used car is a used car. (1) Never buy a used car without a CarFax or AutoCheck report. The dealer should provide you with one at no charge because any dealer worth his salt runs one of these two reports on every used car he trades in or buys to protect him. Simply don’t buy a used car from anybody that does not give you this report. CarFax reports now have, not only the information about collision damage, floods damage, previous odometer reading, and title issues, (all obtained from insurance records) but also the mechanical repair history (obtained from dealer records). The CarFax report also shows outstanding safety recalls, but I also recommend that you double check this with the NHTSA, National Highway Traffic Safety Association at www.SaferCar.org. In my experience, CarFax and AutoCheck miss safety recalls about 30% of the time. Unfortunately, there is no law requiring car dealers to even disclose an unfixed safety recall and most dealers are willingly selling their customers cars with dangerous safety recall like Takata airbags. (3) Consult www.ConsumerReports.org , www.TrueCar.com,www.CostcoAuto.com, www.KBB.com, and www.Edmunds.com. These sources have complete information on the safety, reliability, maintenance cost, and even what a fair price is to pay for any used car. Consumer Reports lists the “Best and Worst Used Cars”. This is great guide and don’t ever buy a used car that’s on the “worst list”. (4) A Certified Used Car is only as good as the dealer who sold it to you. Most manufacturers don’t even require that the dealer fix open safety recalls to call the car “Certified”. All manufacturers sponsor “certified” used cars of their make. The main reason for this is that they like to sell the dealer warranties that the dealer then marks up and sells to you. A secondary reason the manufacturers do this is to enhance the resale value of their make car. This helps them sell more new cars because of the higher trade in value and the higher residual values on cars they lease enhance their profits. You can buy a warranty for a used car even if it’s not certified, but in a certified used car it’s usually included in the price (which makes the price higher). One good thing about manufacturers’ certified programs is that sometimes the manufacturer will offer you lower financing rates. Certified used cars require that the dealer inspect all critical parts of the car and fill out a checklist that is anywhere from 75 to 150 items. That’s all well and good but how carefully is this inspection being done and by whom? You should ask to see a copy of the check list and ask about the qualification of the mechanic who performed and signed the inspection. All too often, the dealer assigns the lowest priced mechanic he has to perform these checks. It’s questionable whether he even performs all of them. A red flag is if you notice a straight line drawn through all the check boxes instead of them being checked off individually. (5) Money Back Guarantee. A lot of dealers advertise that if you change your mind about the car you bought you can bring it back and exchange it for another. This is a worthless guarantee. You can be sure that they will pick the car and the price of the car they will exchange it for and will end up making an additional profit. CarMax has a reasonable guarantee which refunds all your money within five days with restriction that the car is returned in the same condition that it was sold. CarMax is a good place to buy a used car. My biggest problem with CarMax is that readily sell used cars with dangerous safety recalls, like the Takata airbag. CarMax, GM, Sonic Automotive and the FTC were recently sued by CARS, Consumers for Auto Reliability and Safety over this issue. The case is currently on appeal. (8) The Internet is the best place to shop for your used car. 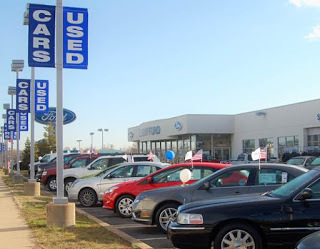 www.AutoTrader.com lists virtually every used car offered by every car dealership in the USA. Most dealers today display all their used car inventory right on AutoTrader and their website along with the prices. These prices are close to the real price you will pay. The dealer knows that he won’t get many responses if he overprices his used cars. Shopping on the Internet give you ample opportunity to compare the same or similar used cars with lots of different dealers. As always, call the dealer before you come in to confirm the Internet price is an out-the-door price without a dealer fee, doc fee, dealer prep, electronic filing fee, and dealer installed accessories. (9) Commit all of the dealer’s promises to writing. Take notes of everything the salesman and sales manager promise you such as “we’ll fix that CD player if you’ll bring your car in next week” or “if you ever have a problem with the car we’ll give you a free loaner when you come in for service”. Make those notes part of the buyer’s order and be sure that a manager signs it. It’s also a good idea to always shop with a friend. In a “He said she said” situation, two people trump one.